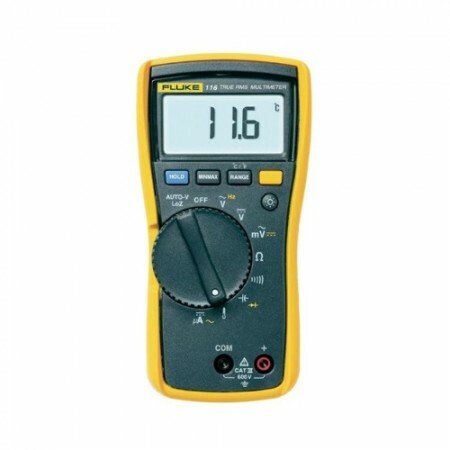 The Fluke T5 Electrical Tester lets you check voltage, continuity and current with one compact tool. 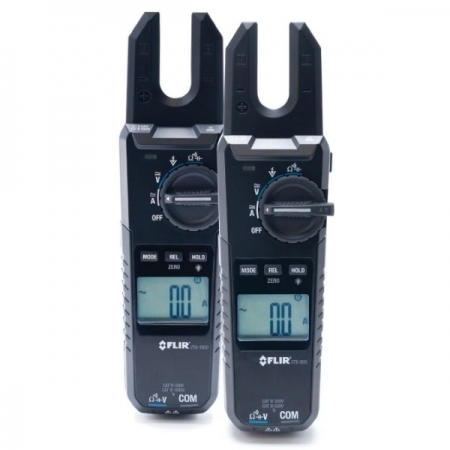 With the T5, all you have to do is select volts, ohms, or current and the tester does the rest. OpenJaw™ current lets you check current up to 100A – without breaking the circuit. Its tough test leads stow neatly in the back of the tester, making it easy to tote the T5 in your tool pouch. Detachable SlimReach™ test probes are customised for national electrical standards. The test leads accept optional accessories such as clips and specialty probes. 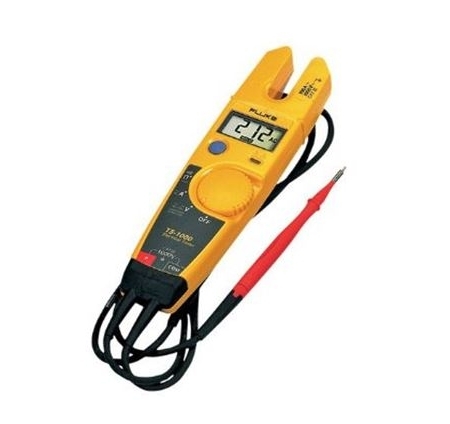 Kit includes H5 Belt Holster and the 1AC Voltalert for Non-Contact detection of AC Voltage. 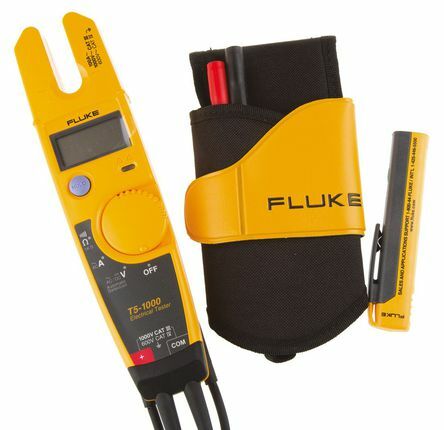 A must-have kit for professional electricians, this bundle pack comes with a Fluke T5-1000 multi-function electrical tester, a Fluke 1AC II Non-Contact Voltage detector pen the handy T5 holster for storing the meter. 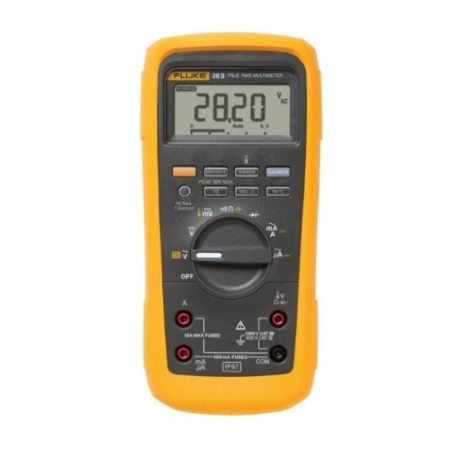 By using these instruments you’ll have all you need for basic measurements of electrical parameters ranging from locating live voltage to testing current values. Portable, pen-shaped and extremely easy to use, just hold the 1AC II near to a suspected voltage source and if the tip glows red and it emits a beep, you know there’s voltage present in whatever you’re testing. 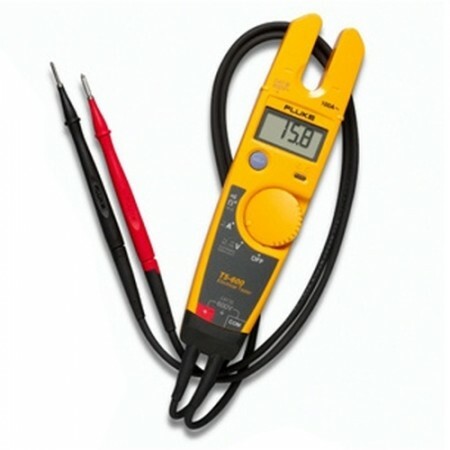 A multi-function electrical tester, the Fluke T5-1000 combines together all of the functionality of a digital multimeter with a digital clamp meter. 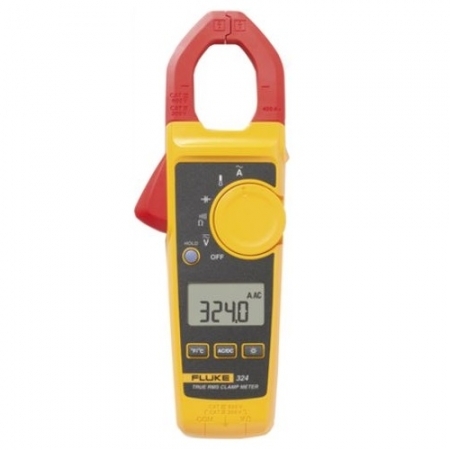 It features unique, open-jaws for current measurements, can test all common electrical parameters and is an ideal addition to an electricians’ toolkit. 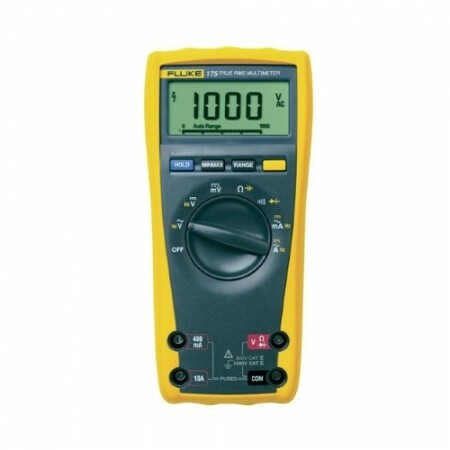 Operating principle: Senses the steady state electrostatic ﬁeld produced by ac voltage through insulation without requiring contact to the bare conductor. A red glow at the tip and a beeping noise (if not switched OFF) indicates the presence of voltage.